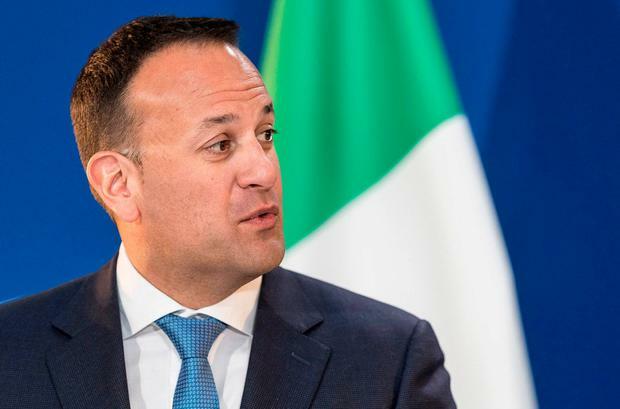 Taoiseach Leo Varadkar has said he doesn't believe there is a bubble in the Dublin office market, but insisted Government won't introduce policies to heat activity further. He was responding to comments by businessman Denis O'Brien, who said he sees a bubble in the Dublin office market, and is "staggered" by the level of development. Asked if a new bubble has formed 10 years after the financial crash, Leo Varadkar said he doesn’t believe so. "I don’t think there is,” the Taoiseach told reporters at the World Economic Forum in Davos, Switzerland. But he admitted the scale of current activity is "huge". "We always need to be wise to these things. "When it comes to commercial property there’s a huge amount of commercial property development happening. "You only have to walk the streets of Cork or Limerick or Dublin to see the amounts of new property under construction." But he said he was more worried about opposition calls to spur construction levels further than he is by any current problems. Finance Minister Paschal Donohoe said his move in the October Budget to hike stamp duty on commercial property transaction had been aimed at keeping a lid on prices. But he said the level of development was justified. "The Government, and I as Minister for Finance believe that the supply of office space that’s going on in Dublin and elsewhere is needed, will be needed to cope with the increased economic activity we have," he said. "But of course, as we see that supply being justified (but) we are monitoring what is happening with pricing." "When we saw a change in pricing we acted, we in fact tripled stamp duty on commercial property to ensure that pricing that could happened in the future would be more justified, more impacted by tax policy," he said.